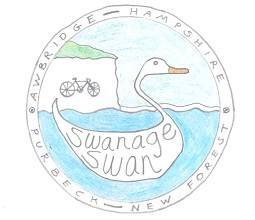 175km cycling event starting from Awbridge, Nr. Romsey, Hampshire. Controls at Wimborne and Swanage, plus 3 information controls. An imperial century ride to the seaside. 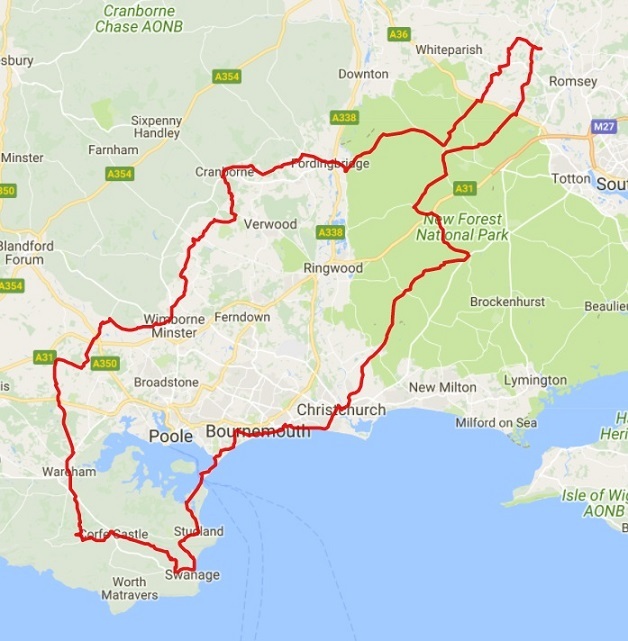 Enjoy the Hampshire and Dorset countryside, some fine Purbeck views, ice creams at Swanage, the Bournemouth cliff top roads, and a traverse of the beautiful New Forest. Village hall start and finish with light refreshments provided at the start and more extensive options on your return! This event uses the chain ferry for the short crossing from Studland to Sandbanks. Bikes currently cost �1 and this is not included in the entry fee.